Cave Baby’s daddy is brave, his mummy is good at painting but Cave Baby is bored. Then he finds a paintbrush but his work is not appreciated and he is told to behave or the mammoth will throw him to the big brown bear. 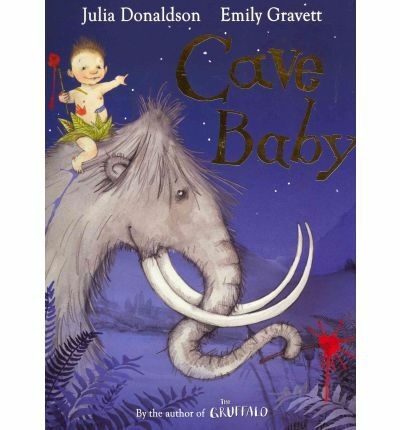 Then at night the mammoth comes and Cave Baby is afraid but it is not what he thinks and he finally gets to have fun. This is a wonderful tale of imagination and allowing children to express their creativity. Donaldson’s rhyming text, as always, is wonderfully expressive and is paired this time with Gravatt’s beautifully appealing illustrations. This has less text than some of her books but is a great addition to the bookshelf for your younger readers. You can’t really go wrong with a Donaldson book.